This August HANON is proud to join forces with Danish sportswear brand hummel to launch the ‘Standing Only’ footwear and apparel pack inspired by terrace culture. ‘Standing Only’ pays homage to the part-time and lower league football clubs in Scotland, shining a light on grassroots football, which plays a huge part of the cultural fabric of the UK. Both brands draw inspiration for this pack from three teams within the Scottish Highland League; Huntly FC, Forres Mechanics FC and Rothes FC, all of which are situated in the North East of Scotland, where HANON is based. 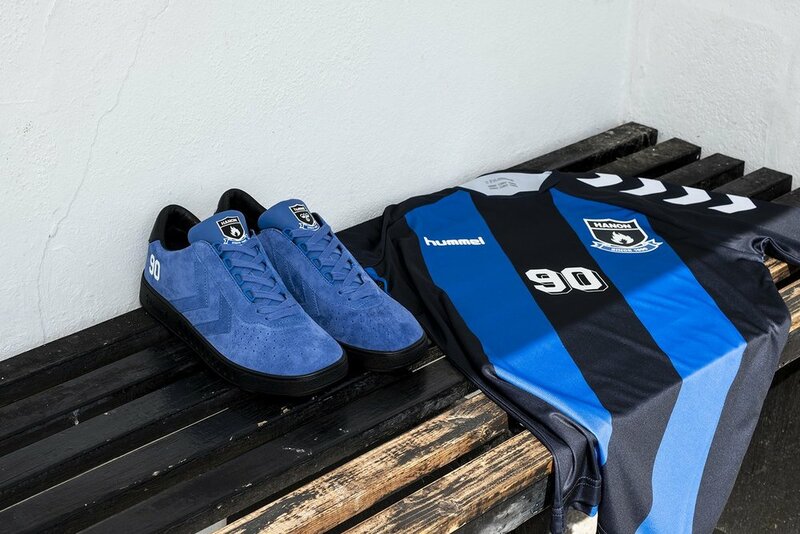 Each shoe and jersey draws inspiration from the kit colors associated with the retrospective teams. Huntly FC’s away kit colors are reimagined on the hummel Super Trimm in a strong blue suede with a dark black sole unit. 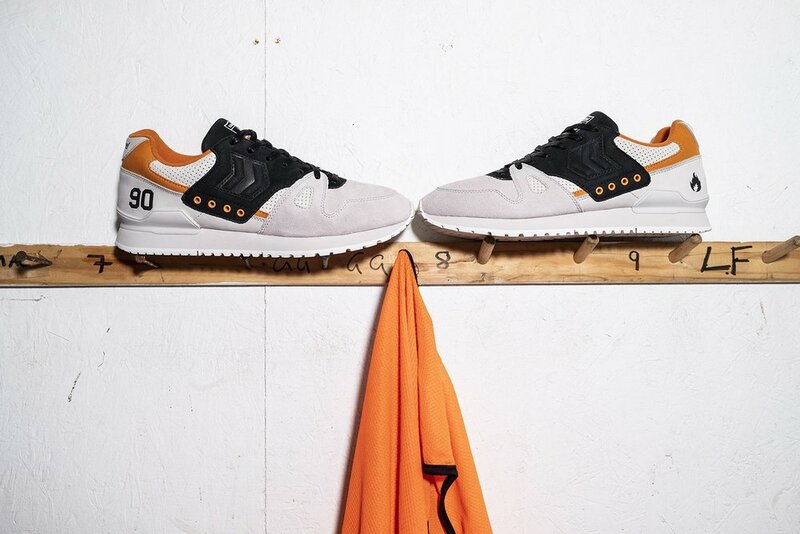 Rothes FC’s team colors are depicted on the hummel Marathona using full grain leather in black and white with light grey suede panels and bright orange pops. 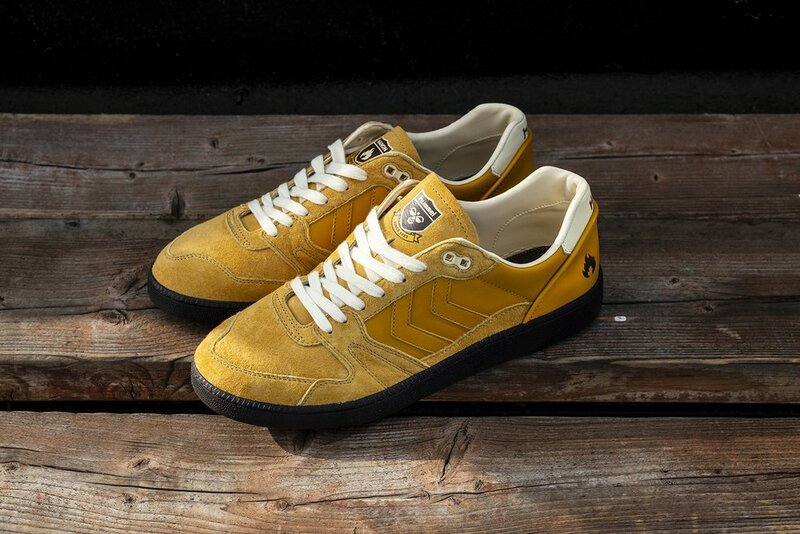 The final team, Forres Mechanics FC’s colors are reflected in the hummel HB Team, a golden yellow full grain leather and super soft pigskin suede upper, sat atop a dark gum sole unit. All three styles come with dual branded hummel x HANON detailing including a specially designed box to coincide with each team release. Three jerseys will also be available for each team to correspond with each sneaker release. For the first release, which is the HANON x hummel Super Trimm releases by raffle August 18.